Steaua Bucharest water polo team has registered the first win in Group A of Champions League on Wednesday, defeating Red Star Belgrade8-3 (0-0, 3-1, 4-0, 1-2). 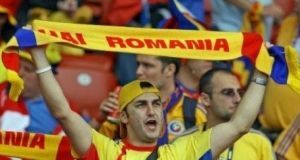 Romanian champions have thus the first win, after four consecutive defeats. Sreaua has a poor start and a rather poor final match, however the second and fourth quarters made the difference in their favour. Steaua Bucharest: Alexandru Ghiban (2 goals), Jerko Marinic Kragic, Mihnea Chioveanu, Andrei Prioteasa, Marios Kapotsis, Victor-Andrei Antipa, Uros Cuckovic. Red Star Belgrade: Nikola Bursac, Kristijan Sulc and Marko Radovic. 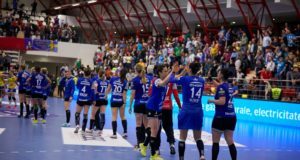 Other matches in Group A: Pro Recco (Italy) vs. CNA Barceloneta (Spain) 15-11, AN Brescia (Italiy) defeated away Dinamo Moscow 10-8, and FTC Telekom Budapest defeated another Hungarian team ZF Eger 16-9. Standings: 1. Pro Recco – 15 points 2. Barceloneta – 12; 3. Brescia -12 puncte, 4. FTC Telekom – 9; 5. ZF Eger – 6; 6. Dinamo Moscow – 3; 7. Steaua Bucharest – 3; 8. VK Red Star Belgrade – 0.